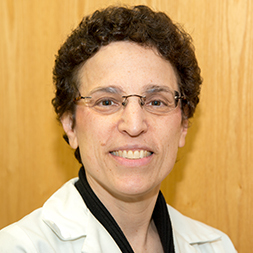 Joanne Borg-Stein has expertise in the areas of sports medicine, regenerative medicine, and soft tissue causes of back pain. She has organized national and regional courses on stem cells, platelet rich plasma, musculoskeletal ultrasound for sports medicine, muscle pain, musculoskeletal disorders of pregnancy, athletic hip and pelvis injuries, and exercise training in rehabilitation, reflecting clinical expertise. Areas of special therapeutic interest include prolotherapy, platelet-rich plasma, and diagnostic/interventional musculoskeletal ultrasound. Her most recent area of clinical research is in collaboration with the Sports Medicine Department at Wellesley College. Borg-Stein is studying lower extremity strength, flexibility, and dynamic control and assessing risk factors for lower extremity injury in female college athletes at the varsity level. She is also actively involved in clinical research about platelet-rich plasma injection for sports medicine, arthritis, and musculoskeletal pain.